The SIBA Independent Beer Awards are run across SIBA’s 8 geographical regions, with the champions from each region moving forwards to the National competition at BeerX. 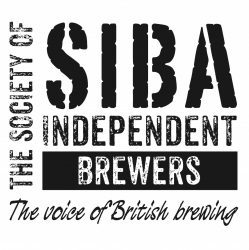 The SIBA Independent Beer Awards represent the very best beer from the UK’s independent brewers and are judged by fellow brewers and industry experts making these awards the “Brewers’ Choice” awards in the UK. To find out more or to enter your beers into a regional SIBA Independent Beer Award competition log in to Toolbox or email beercompetitions@siba.co.uk – various categories are available across cask, keg and small pack, please click the link here for more information or to see past winners. The Regional Keg Beer Awards will be taking place on Sunday 11th & Monday 12th March, before BeerX.